does this random performance even matter? two years ago i was hired to get random people at the mall to dance with me. 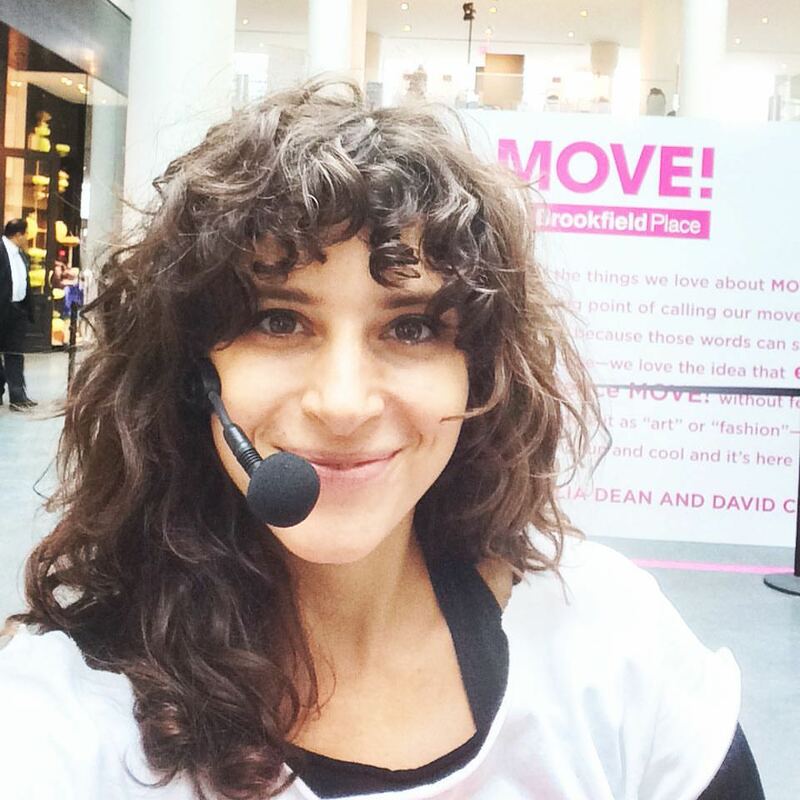 It was truly my happy place: me in my DANCE WITH ME shirt with my Madonna-style hands-free mic and a wide open floor before me. I cracked jokes with strangers passing by. I got a group of finance guys to make a dance video with their umbrellas, to “Umbrella” (ella...ella… thanks, Rihanna). I made rainbow dances with a big group of children who happened to gather around me at the same time. and i invited my you can dance again crew to join in. We performed a dance we were working on, and they helped with the getting-strangers-to-dance task. It worked! almost two years later i got an email that brought me to tears, adding a whole new level of WOW to this experience. I had no idea at the time, but apparently there was a woman who had stopped to watch us dance. She wrote me an email explaining how she had just moved from Brazil and was feeling a bit lost in this new country. There was something about seeing the group of us dancing randomly in the mall that made her feel at home, uplifted her spirits, and made her stop right there for an hour just to watch. she said it felt like we were holding a mirror and a light for her to reflect on the best parts of herself that were hidden but wanting to come out. She had gotten my business card, joined Creative Fridays, and had been following along this whole time. This same woman attended our YCDA Monday Night Class this week, exactly two years to the day that she saw our crew dancing at that mall. and this is why i dance. And this is why I care so much about making dances in random places and making space for other people to rediscover their dances, too. Even when it seems like no one cares. Even when it seems like the tragedies of the world outweigh the joys. I have to believe that our dances, our art, can make a difference. Imagine if something you create positively affects even just one person? One person who was feeling lost in a new country? One person who might have otherwise made a really poor decision? One person who might have been inspired to do something different with their day - or their life - because of you? The power we have is beyond comprehension. i believe it’s our responsibility to use our creative impulses for good, to share our art even when it seems pointless, to teach our children how to channel their pain through artistic means, and to dance with random people in malls when we are called. Call me naive, but I think it can change the world. Let’s commit now more than ever to making a difference through the creative power we hold in our bodies. Sometimes it’s all we’ve got. p.s. Ever feel like YOUR expression doesn't matter? Let's talk so I can remind you why it does. There are a few spots open in my coaching practice and I'd love to work with you. Set up your complimentary call here.